No middle book syndrome....just getting stronger!! I was the platinum. It was going to take more than a single opponent to overcome Flavia Sabina de Luce. Every new book in this highly entertaining series by Alan Bradley brings a new wave of smile across my face. Surely this series has to be one of the best-est and the freshest of all the crime series to come out in the recent years. Flavia De Luce grows more and more adorable as the series progresses. With her amusing interests in poison, her very distraught life being hounded by two sisters and her oh-so-heartbreaking longing for her mother Harriet, makes this book much more than just a crime fiction. This almost becomes a sort redemption of the crime writing genre from the standard factory produced books featuring meaningless violence, cliched sullen heroes trying hard to be witty, and something which is given the name of a plot without having any instance of ever being one. Compared to this Alan bradley writes books, which are a homage to the traditional British Golden Age crime novels. Are they “relevant” in today’s time? I dont know, and frankly i dont care. They are according to me a very god example of what a crime novel should look and read like. To be precise, if a crime novel doesnt have a plot, a motive and twists then no matter of “relevency to modern times” can make it a crime fiction worth mentioning. 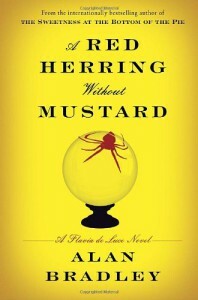 Take the example of this book, “A Red Herring Without Mustard”. From the very begining the plot introduces a character who is hated by another character. Within a few chapters the character gets assaulted. No sooner we have gone a few pages up, than we are gifted with a murdered body. 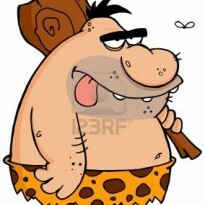 And all through the protagonist Flavia is busy trying to clear the mess created by forgery, assault, lies and murder. Except maybe a few pages where she plans her favourite pastime of revenge on her sisters, or she tries to stop the tears that comes up to her eyes when she wonders why her sisters are so mean on her. But apart from that she searches for clues, analyses clues and at the end points out the culprit. And, what makes this book a blazing success is the presence of so many characters. A crime novel with many chracaters equals to confusion which equals to twists which equals to a great crime novel. So, everyone, who hasn’t already met Flavia De Luce, please please pick one book and go through it. Just like me you won’t be disappointed.